The perfect gift for loved ones abroad, the NewsFour 2016 Calendar is now available on eBay! Looking for the perfect gift for friends and family who have moved away? 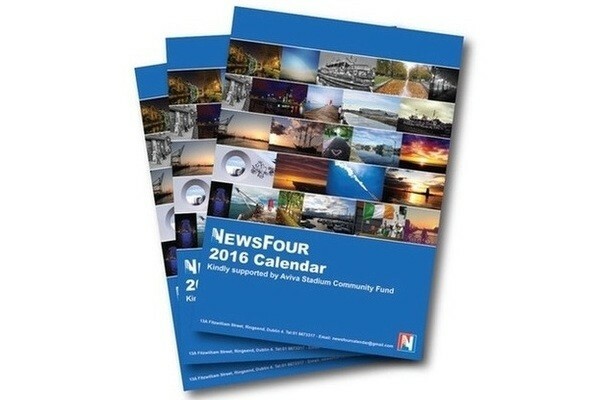 Why not send them a little piece of home with the NewsFour 2016 Calendar. The calendar is made up of 12 photographs taken by our readers, which capture the essence of Dublin 4. It’s the ideal present for anyone with a love of Dublin 4, at home or abroad! We can post the calendar anywhere in the world on your behalf. The calendar normally costs €10, but we now also have a special offer of two for €15! Click here to buy one calendar for €10! Click here to get two for €15! Alternatively, you can buy them the good old fashioned way in our office at 13A Fitzwilliam Street (behind the library), Ringsend, Dublin 4! Now also available in Murthaghs Hardware and Books on the Green in Sandymount Village, and The Print Museum Gift Shop in Beggars Bush, Dublin 4.